After the very dismal Oscars on Sunday, which was hosted by the increasingly boring Jimmy Kimmel, it was quite clear from the get-go that despite some worthy winners, this was clearly going to be the most boring Oscars that we had ever seen, and this view was shared by all people of the world. With a little tongue in cheek humour, anyone can see why President Donald J. Trump would tweet this after the worst ratings in Oscar’s history, taking place a little over a year after Hollywood’s loser lord and saviour, Hillary Clinton, lost the election. Ever since winning the presidency, Trump has been the punchline of every unfunny establishment jokes, especially from the likes of people like Jimmy Kimmel, a late night talk show host that couldn’t even get a genuine laugh out of a hyena. Jimmy Kimmel got extremely triggered by Trump’s tweet, and responded by having a classic liberal snowflake tantrum, tweeting back something which, in his little world, he believes to be true. Let’s take a look! HA! Facts don’t matter in the virtuous celebrity world of Jimmy Kimmel, since as a matter of fact, Donald Trump is one of the highest rated President’s in recorded history, and he’s barely into his second year of his first term. Cry those liberal tears Jimmy, your tweet has no basis in the real world. The establishment/Illuminati wanted Hillary to win, so she could continue to destroy the country and the whole world, but God would have it another way, as we can all see now, right Jimmy? According to a poll by FiveThirtyEight, Trump’s current approval rating sits at 40.4 percent, with 54.3 percent polled disapproving of his presidency. However, just last week, Trump’s approval rating was at 49 percent. We can all recall the polls which said that Hillary Clinton would totally win the election by a landslide, don’t we? Just how incorrect were those polls and ratings, eh? They were so incorrect in fact, that those who placed money on Donald Trump to win the election came out winners of small fortunes of money. Sorry Jimmy, but the Oscars this year were the most boring ever, and were not sure that you helped make the ceremony any more entertaining at all. 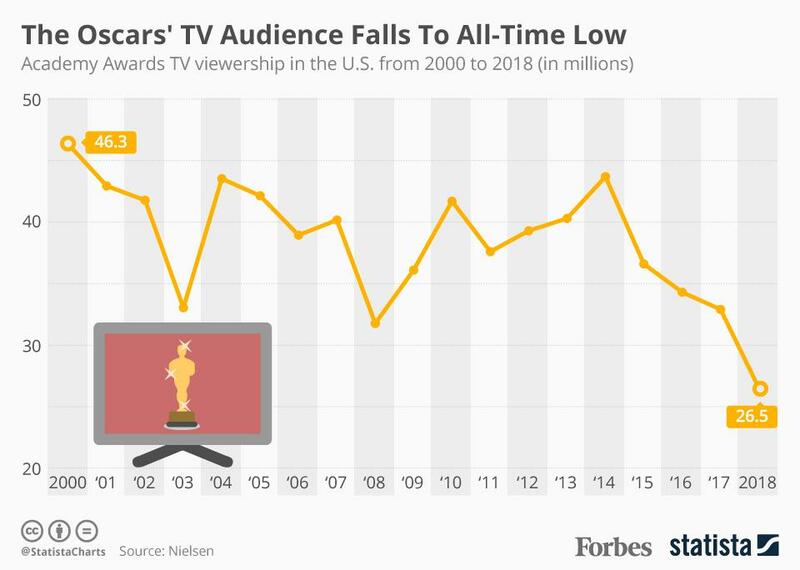 The 90th Academy Awards show drew in an all-time low of 26.5 million viewers, which is even 19 percent less than last year. That’s a humongous drop in ratings from the previous year, which was the second to lowest ratings in Oscars history, as well. Meanwhile, Donald Trump has been instrumental in the smoothing over of relations between South and North Korea. The USA and Kim Jong-un are set for peace talks, as well as denuclearization talks with Donald Trump and The White House cabinet following on shortly in the coming months. With a dire opening comedy monologue like that, is it any wonder why it was dubbed #OscarsSoBoring by the internet? So, what does Hollywood need now? New stars? New talent? A new direction? Fresh ideas? A lot less blatant establishment ties to the occult? Maybe also a lot less virtue signalling and the pushing of political agendas, too?! Actually, we think that they need all of these things, over the course of the next few years so as to avoid the complete disappearance of the mainstream movie industry in Hollywood. Got any of your own suggestions? Tell us your thoughts in the comments section down below.